The Way to Enjoy the Phenomenon Milky Way in Bromo. 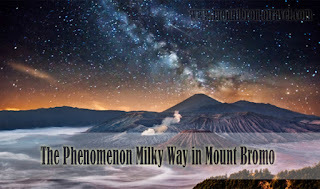 The phenomenon milky way in Mount Bromo is one of interesting attractions. Of course, it is a must for you to see this natural phenomenon when you have a plan to explore Bromo. Before enjoying the Milky Way in Bromo, it is better for you to learn a little bit about this phenomenon especially if it is your first time to visit Bromo by a private tour or by a Backpacker trip. So, when is the best time to see Milky Way phenomenon in mount Bromo? 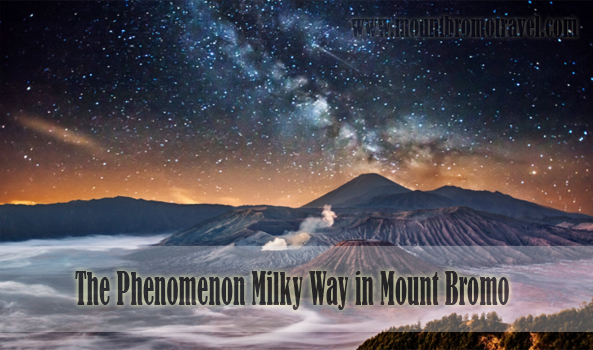 For your information, the phenomenon Milky Way in Mount Bromo appears at night. The best time to see this phenomenon is around 01.00am up to 04.30am. Moreover, the chance to see this Milky Way is bigger if the weather is clear. This is because sometimes mount Bromo is full of fogs at night. It will difficult for you to see the Milky Way if too much fogs there. Sometimes, you also need to wait up to 3 days or 4 days to see the best appearance of the Milky Way. Don’t forget to bring your camera to capture this beautiful phenomenon. After learning about the best time to see the Milky Way in mount Bromo, it is also important for you to know the best location to enjoy the Milky Way. The good news is that there are several strategic locations you can visit in mount Bromo as the best location to see Milky Way. For example, you can just go to the northern side of lava view lodge. Close to this area there is a place namely Mentigen Hill. This is also the place for camping ground. You can see the Milky Way clearly because there is no trees and grass. You can also see the Milky Way in mount Bromo clearly by staying on mount Penanjakan. The main reason is because it is the highest peak of mount Bromo. As the result, the Milky Way can be seen clearly from this location. While waiting for the Milky Way, you can buy local foods and drinks there. King Kong Hill is also the best place to see Milky Way in mount Bromo. It is also a good location for camping in which there is also local foods and drinks you can buy. The location is below the mount Penanjakan. One more reference to see the Milky Way in mount Bromo is Love Hill. The location of Love Hill is below the mount Penanjakan and King Kong Hill. Just visit those areas to see the phenomenon Milky Way in Mount Bromo and hopefully you can enjoy it maximally.